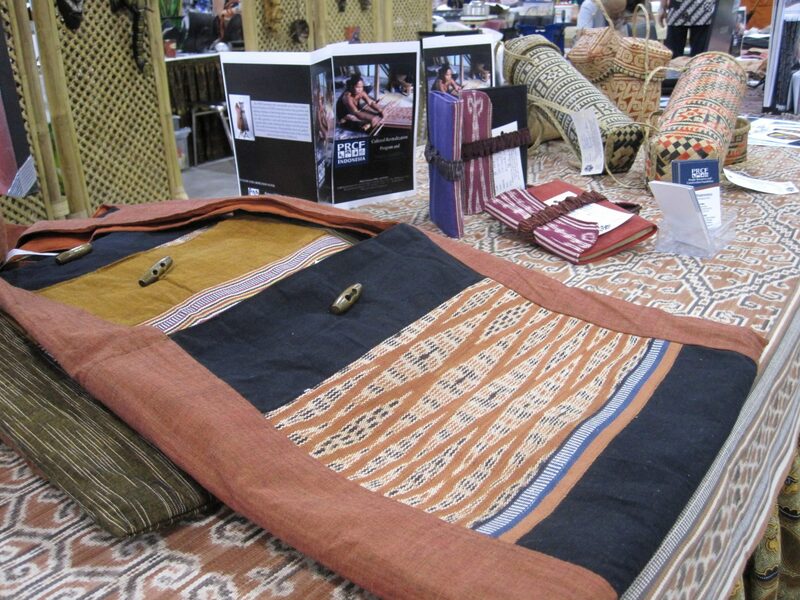 Our table at the event featured a presentation on: the “ikat” weaving process, images from the Sintang village of Ensaid Panjang, and of the crafts and products produced as part of the Cultural Revitalization Program in Indonesia. We were also able to distribute, for the first time, brochures about our new Youth Ambassador Program and show the new design for the Cultural Revitalization Program brochure (click to download). Both were well received by our table’s visitors!